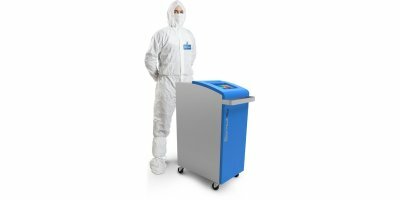 The Warnex Rapid Pathogen Detection System is a highly versatile and efficient thermal cycler with real time optical detection, specifically tailored to the rapidly evolving needs of today's molecular biology laboratory. AOAC Approved. There is no doubt that few technologies have had as large an impact as PCR. By AmeriSci Group based in Midlothian, VIRGINIA (USA). Analytical Services, Inc. (ASI) provides microbial identification services to clients worldwide. 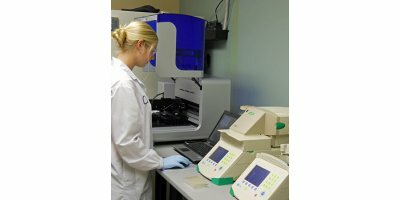 We provide a wide range of capabilities by combing our in-house services (for example, metabolic characterization, genetic sequencing, etc.) and those provided by our affiliated laboratories. A&B Labs is experienced in providing reliable analytical services to the food industry. Our clients range from meat distributors and grocery stores to food manufacturers. Our dedication and commitment motivates us to provide personalized service to each of our clients and meet all demanding needs. By XDD, LLC. based in Stratham, NEW HAMPSHIRE (USA). AOAC Sporicidal Testing (e.g., Clostridium sporogenes, Bacillus subtilis). AOAC Fungicidal Screen (e.g., Trichophyton mentagrophytes). AOAC Use Dilution Screen (e.g., Staphylococcus. aureus, Salmonella choleraesuis, Pseudomonas aeruginosa). ASTM E 2197-02 Tuberculocidal Screen (e.g., Mycobacterium terrae. Tests are performed according national (NCh) or internationals (ISO, USEPA, OECD and ASTM) regulations. By BCS Laboratories, Inc based in Gainesville, FLORIDA (USA). By M.E.L. Health and Safety Consultants Ltd based in Rainham, UNITED KINGDOM. By Envirocare Labs Pvt Ltd based in Thane, INDIA. By Aerobiology Laboratory Associates, Inc. based in Dulles, VIRGINIA (USA).